Get educated in Australia! Our Education Australia Portal is a free gateway for international students and parents to the Australian education system and gives reliable information about education and training in Australia. We offer free counselling about education and careers to current and future students. Even if you aren't going to enrol in a course, we still offer career and education counselling for free. Did you know: Education in Australia will be charged with different prices, depending on the kind of education or institution. On top of that, weekly living expenses are around AU$300 per week. For more information about our free Education Australia services, please contact us. Our International Education Agency for Australia is a unique independent service for interns, travellers, overseas students. We help international students choose and apply to their dream undergraduate degree, postgraduate degree, gap year course or internship in Australia. Once we have helped you to choose a work placement, university and a course, why shouldn’t you just send the application form off yourself? Because our services don’t end there. Australia's education system is has a highly regarded with regulated qualifications across schools, vocational education and higher education. Our Australian education program will provide you with skills for your future study, employment and life, in Australia or anywhere in the world. Registered Australian Education Agents answer your questions. Welcome to the Australia Education website for advice on education in Australia. Here you will find information about courses, institutions, study and living costs, the application process, visa requirements and more. Australia has a single national and comprehensive system of twelve qualifications, which are the basis of the Australian Qualifications Framework (AQF). Australian federal and state governments endorse AQF qualifications, so an AQF qualification is recognised throughout Australia and by other countries. In the Secondary School sector a Senior Secondary Certificate of Education is issued. In the Vocational Education and Training sector the qualifications achievable are Advanced Diploma, Diploma and Certificates l-lV. The Higher Education or University sector provides Doctoral, Masters and Bachelors Degrees, Graduate Certificates and Graduate Diplomas, Diplomas and Advanced Diplomas. You will get more information on the Australia Education System and how to apply to study in Australia via email. Contact us for further information for international students! International students have numerous advantages awaiting them within the Australian education system. Australia's educational opportunities provide you with a passport to a fantastic future career in more than one hundred career fields. Whether your career goal is to be the world's best hairstylist, a fitness trainer to the stars, a practitioner of natural medicines and aromatherapies or a specialist in deep sea life, you will find a course or diploma program that is perfectly suited to your educational needs. The Australian education system can be thought of as ala carte; allowing you to take only the courses you need to fill any gaps, or to sit for a full diploma. And let's not forget about simply being in Australia! This island continent boasts many of the world's grandest sights for exploration; both natural and cultural. 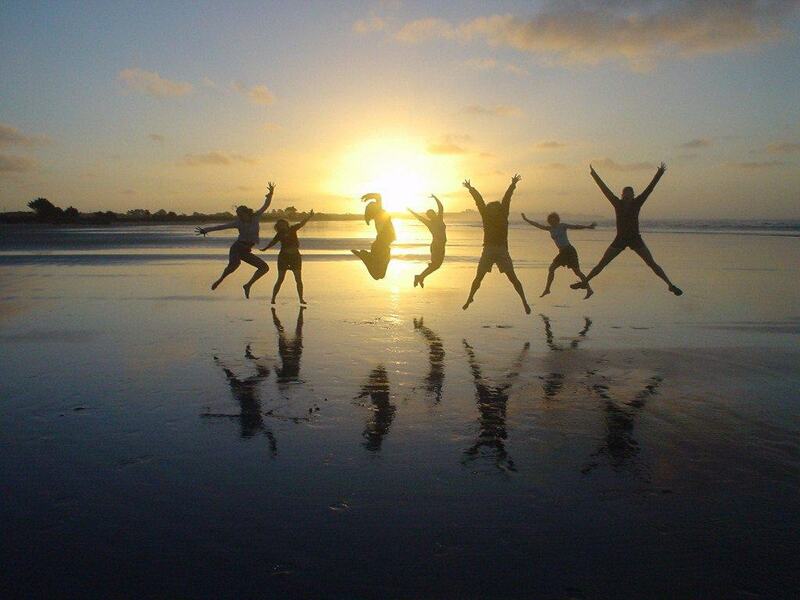 From the trendy lifestyle of Surfer's Paradise in the east, to the lush green wilderness in the far south island of Tasmania; the list is far too long for this article but be assured no international student will be left wanting when it comes to gaining life long experiences while obtaining their world-class Australian education. Having education in Australia is something a foreign student should consider if they really want to study abroad. Australia's education system offers a world class education for all and no matter what your education interest is, you can be sure that you can easily find a reputable University anywhere in Australia that offers a wide range of teaching experties that would ensure you develop and train as you expected. Plus, studying anywhere Australia could never be boring as you would surely fall in love with Australia like everyone else! When the high standards of Australia’s education system are combined with its favourable cost of living and multi cultural society, it becomes an ideal environment in which international students can gain optimum results from their studies while also contributing to their independence and self development. Approximately 50% of the worlds international students are currently studying in Australia. For the duration of each semester these students are permitted to work up to 20 hours per week while during semester breaks full-time employment may be obtained. It goes without saying that these working rights are of great value to students and their parents in contributing to the tuition fees. The quality of the Australian education system is protected and regulated by ESOS, the Education Services for Overseas Students Act (2000). ESOS requires that educational institutions must meet very high standards before they can enrol international students. This means that students wishing to study in Australia can apply with confidence in the knowledge that they will receive only the very best that Australia has to offer in education. Numerous services are also in place to assist students with their transition to life in Australia. Each year, Australia welcomes an increasing number of international students to its universities, institutes, colleges and schools. Australia offers international students a unique education. Australia has a well-developed education system with very high rates of high school and secondary completion. More and more Australian students complete years 11 and 12 of secondary school. Australian governments at all levels continually review and reform education and training to address the issues that arise from social and economic change. In many cases, Australian models attract international attention and Australia is involved in cooperating with the development of educational programs in a number of overseas countries. The Australian education system is all about innovation. It's all about making the next step to a brighter future. It's all about preparing students to become global citizens. The education system is designed to tap your full potential and is therefore flexible in terms of course delivery and content. The Australian education system delivers a range of courses and offers various qualifications under the quality assusrance guidelines endorsed by the Australian Qualifications Framework (AQF). This framework and its guidelines have been established by the Australian government so that courses offered are nationally accredited and highly regarded internationally. It's all part of the quality control mechanism set up by the Federal government for the general welfare of the education sector. The framework of the AQF allows for flexibility and choice between the different stages of learning. It is also designed to inspire in students a passion for lifelong learning, which is also one of the Federal government's key priorities. This concern with quality stems from the federal government's priority which is education as an agent for change and progress. Subsequent Australian governments have made education a national priority. Education is viewed as the key to Australia's prosperity and a well-established education system also stands to benefit internationally. The AQF includes the secondary, tertiary & vocational education sectors and comprises of thirteen different national qualifications. For the secondary sector there is the senior secondary certificate of education. The AQF comprises of tertiary qualifications including Diploma, Associate Diploma & Degree, Bachelors degrees, Graduate Certificates & Diplomas, Masters & Doctorate degrees. The vocational education sector covers qualifications including Certificate I to IV, Diplomas & advanced Diplomas and Vocational Graduate Certificates & Diplomas. Like the British system of education, in Australia there are two stages of childhood and adolescent education followed by several options for further study in adulthood. International students can choose from a range of different course options from different education sectors and at different levels. To choose a program that is best for you, it is first necessary to understand the different types of education available in Australia. Australia's education system offers international students access to over 12,000 internationally recognised courses. Living costs for Australia are favourable when compared to other western countries such as the UK and USA. Tuition fees are also affordable in comparison to the other western nations. Australia has the third largest number of international students for an English-speaking country. 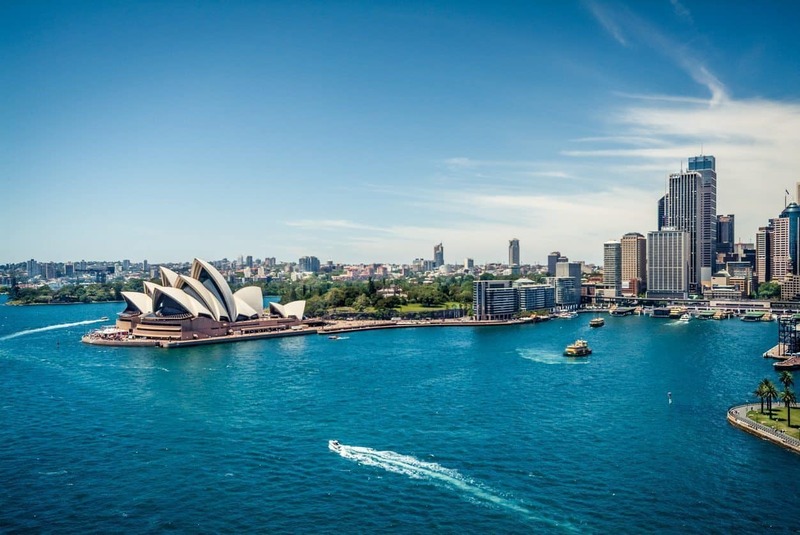 The high standard of tuition, the favourable living costs and the great Aussie lifestyle are just some of the reasons why international students choose to study in Australia. As well as studying in an English-speaking country, international students are exposed to different cultures as Australia is also a multicultural country. Other advantages include the relative proximity to Asia and opportunities to work up to a maximum of 20 hours per week during semester and full-time during vacations as an international student. All theories and applications of knowledge must meet the high quality standards laid down by the Federal government. Classes must involve student participation in such a way so as to foster active learning. When your enrol with Study Travel Work Australia, you can be rest assured that your course is of the highest standard. This requirement is laid down by the Australian government in the interest of all international students so that they receive the best possible tuition. More information about the Australian education system. Australia is the land of opportunity. From secondary to tertiary education, Australia’s system is second to none. Offering a vast amount of courses catering to many needs and desires, Australia’s education system provides international students with a once in a lifetime experience that will benefit them greatly in the future. Advantages include the pristine location of Australia’s University’s, whether it be from the luscious, green grounds of Perth’s UWA, or studying in one of the many University’s in Australia’s culture hub, Melbourne, education in Australia is a site to be seen. Most importantly however, is the quality of education students receive in Australia. By studying in some of the most prestigious and well-known Universities in the world, students are continuously placing themselves ahead of the field by taking advantage of the high standard of teaching and equipment available to them to further their knowledge and skills. The Australian education system offers many more advantages to international students, and by developing skills and expertise within the Australian education system, students are setting a solid grounding for having a prosperous and bright future. All schools, vocational and higher education providers fall under one single framework that sets the standards for the issue of qualifications and course delivery. Those institutions which fall under the AQF are recognised by the Australian government as being creditable institutions with a minimum standard of qualification. All institutions offering courses to international students must abide by all sections of this act in order to retain their official recognition status by the Australian government. The Commonwealth government retains a register for institutions and courses which it deems to be of an acceptable standard for offer to international students. All international courses are registered with this register. For international students unable to gain direct entry to an Australian university, there is the other option of study through TAFE. TAFE has a number of study pathways which can facilitate university entry. On of this is a one-year diploma programme which can gain you at least a year's credit at a Australian university for a three-year degree programme. Our Australia Education Agency is helping you for FREE to qualify for different study options and courses in Australia. All you need is to contact us and tell us about your education needs! 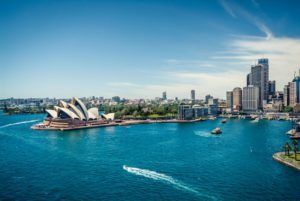 Australia – a diverse and multi cultural country that prides itself on the availability of educational institutions for both national and international students. The locations for both these types of education are both wide and varied. Many universities, for example, have many campuses to suit people in many different situations. What this basically means is that although the actual university is located at one location, they may have a campus that is located closer to your physical address. This can sometimes be crucial to your mode or method of study. It can, sometimes, be your ticket to success or failure of your chosen course. Depending on your desired mode of study i.e. part time or full time, the ability to at least meet with lecturers/teachers and your fellow students will always be advantageous as this creates a support system which at some point, all students require. Whether that may mean a simple question regarding a timetable, or an in depth question regarding an assignment that presents itself at the time of instruction. Of course, studying at university does have many other advantages and one of these is accommodation. This accommodation, in many cases, is targeted at the overseas student allowing them a secure and comfortable location to live and study in a conducive and productive environment. Vocational education, although generally of a high caliber, is more targeted to individuals who wish to upgrade or continue their job skills. Many people who enter the vocational system, whether that may be via a private RTO (Registered Training Organisation), or the government TAFE (Technical and Further Education), are generally already employed and are wishing to gain further qualifications in their chosen field. One of the large advantages of the vocational education system is the flexibility and range of course offerings. Being a largely diverse study option, the system also offers the individual to start learning at the very basic level and progress further after each unit completion. For example, Certificate 2, Certificate 3, Certificate 4 etc. Each subsequent certificate is designed to build on the skills previously learned and in many cases, should you wish to continue, will offer accreditation towards a university degree. The Official Australia Travel for international students. Find information about travelling to and around Australia. 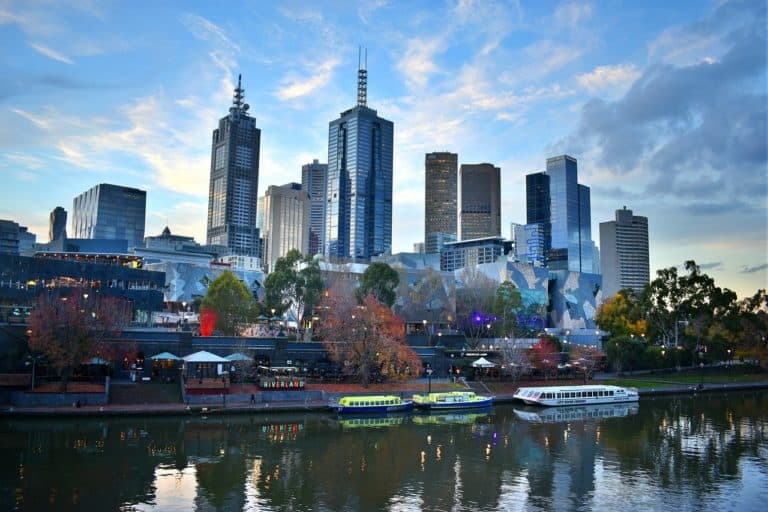 Learn about Australia’s cities, weather, geography and find courses. Contact us here! The Australian Qualifications Framework (AQF), enables each person studying to find the best way suitable to meet their goals corresponding to their capacities. Beginning with the higher level of high school, all qualifications are connected together and compatible entirely in contrast to the educational way in many other countries. The Australian Universities Quality Agency (AUQA) is an independent, national quality assurance body that will audit Australian universities every five years beginning in 2001 and controls the regularity, reliability, and quality of the achievements of all universities. International students and parents will have access to AUQA audit reports. The Australian Government also publishes education quality assurance and improvement plans yearly, which help to find the university that best meets the student’s needs and interests and which guarantee uniform and transparent nationwide standards. Therefore solid studying and solidly education is guaranteed. Vice-Chancellors of all Australian universities have signed the Code of Ethical Practice in the Provision of Education to International Students by Australian Universities, and associated Guidelines, which aims to secure the interests of international students, and assures the service quality from the universities. The code covers the universities’ promotion and marketing, agents and partners, and provides information on admission of students, arrival and orientation, student support, fee-charging and refunds, university infrastructure and returning home support. All visitors on a student visa are covered by the consumer and financial protections of the Education Services for Overseas Students (ESOS) Act 2000. Every Australian education institution is different, not only because of the range of courses they offer and their location, but also because of their unique character. Advantages of the Australian education system for international students are many. Primarily, it is fair to say that the standards exercised by Australian education facilities, particularly in the area of examination and assessment, are generally far superior, and thus more desirable, than those in the students' countries of origin. It is fair to say that when these students return to their mother countries, their qualifications are recognised above many similar qualifications issued by local educational facilities in their countries of origin. This is partly due to the knowledge of potential employers that some local institutions will sell degrees and other qualifications to the highest bidder, and partly because it is recognised that foreign institutions in many cases have higher standards of education. Secondly, and no less significantly, it is equally fair to suppose that many of these overseas students arrive in the hope that they may stay on as residents after completing their studies. The competitive nature of the work environment in their countries of origin makes it difficult to obtain suitable employment after qualifying in their various fields of study. Thus, they work hard in the knowledge that more opportunities await them if they succeed. There are two types of institutions in Australia. These are government and private owned. Both are able to enroll overseas students. The educational calendar is divided into four terms and starts towards the end of January ending in December. Placed between secondary and university studies, VET education studies are taken to prepare students for employment and/or higher learning institution placemements. They consists institutes of Technical and Further Education (TAFE) and also private colleges that concentrate on specific courses that offer one necessary training for employment. TAFE institutes are government funded and recognized country wide. They offer vocational training for career courses. The period of study range from a few hours to about three (3) years of full time study.TAFE courses are cheaper compared to university courses. Students graduate with certificates, diplomas and or advanced diplomas. These awards enable them to further their studies at universities or find employment. Private institutions concentrate on certain study fields such as aviation, photography, interior decorating, multimedia, hospitality management and tourism. They include business colleges, English learning centers and computer training firms. All institutions are closely monitored by the government so as to uphold high learning standards. Most of these provide English language training as well as foundation courses for university entrance. There are 37 public universities in Australia and 2 private owned. Their are also a number of smaller institutes that focus on special courses on higher educational levels. Most courses are tutored and research is conducted over a broad range of professional and educational fields. These fields maybe specialized i.e. medicine, engineering or general i.e. arts and science. Students can earn qualifications ranging from graduate certificates to doctorates. These studies are offered on postgraduate or undergraduate levels. Foundation course duration is usually a year and international students usually have to under take these as preparatory courses for university entrance. Additional English language training may be necessary .Upon completion; the student is eligible for entrance and can enroll in any preferred institutions offering his/her degree program of interest. Most universities and vocational institutes offer foundation study courses. These are usually shorter courses that enable international students to study in Australia for one or two semesters and have them credited by their local learning institutions. Approval for the students’ desired subjects of study may be obtained before commencement of studies. The student has to meet the normal requirements for each subject intended to be studied. Many government and private institutes offer the English Language Intensive Courses for Overseas Students (ELICOS). Their are over 150 registered and accredited English learning centers in Australia. These courses are taken to prepare for different programs. These courses can be for English language training, English for academic purposes (for further studies), English for specific purposes i.e. business or computer related courses and also preparation for international exams such as Cambridge certificate or IELTS. Periods for English studies taken on a full time basis may vary from one to about 48 weeks. Full or part time study tours are available and can be taken for periods between one and six weeks. Overseas students are permitted to study up to 17 weeks on a non student visa. Australian Education International provides detailed information in other languages for those wishing to study in Australia. The Australian educational style is lively and interactive, and encourages individual thought and participation. Students are required to demonstrate their understanding and ability to apply learned concepts, rather than just memorise textbooks. Likewise, they are also expected to actively contribute to class discussions and group activities. TAFE study in Australia is comprised of lectures and tutorials. Lectures may be attended by hundreds of students, while tutorials are usually made up of 30 students or less. Your academic assessment will typically rely on one or more major assignment and one or more written exam. A percentage of your final grade will also be based on class participation and attendance. Choose a course with one of the best universities, TAFE colleges, polytechnics, language schools and schools in your preferred location. There is a great variety of international education pathways for everybody. English as a Second Language courses and programs delivered by Australian education and training institutions, and based in Australia. Courses and programs delivered by education and training institutions, and based in Australia or New Zealand. Courses and programs delivered by education and training institutions, and based outside Australia or New Zealand. Online courses and programs delivered by education and training institutions. The Australian education system has many advantages for international students. One of the most significant factors involved in successfully completing studies in Australia is the lifestyle students are offered whilst pursuing their career goals. The Australian educational setting, when compared to other nations that also hold education in high esteem, is relaxed. The overwhelming pressure and stress associated with other educational environments does not appear to be present in the Australian setting, allowing students the opportunity to study, work and enjoy the amazing range of cultural, social and community experiences on offer. The world class facilities and courses on offer to international students ensures that a vast range of courses are delivered in a professional manner and often state of the art facility. Australia is an open and friendly country that embraces new and interesting people and cultures. From an academic and lifestyle perspective, Australia is an ideal choice for those international students wishing to study abroad and gain valuable cultural experiences. Australia is a distinguished world-class destination for education, work and building a future. Australia Education Agency is a Brisbane based education agency that facilitates and aids international students, travelers and interns in setting out to achieve their success. The agency offers numerous academic interests catered for students, and takes you step by step to achieving educational opportunities in Australia. AA is free service assisting in counseling students to choose and map their undergraduate degree, vocational training or internship in Australia or New Zealand. We use our Australian education experience and expertise to make every student’s dream come true. We cater to all international students of various ages and diverse backgrounds, we assist in providing knowledge about adjusting in Australia. Australia Education Agency is a participant in English programs, high schools, undergraduate, postgraduate and vocational education institutions. The agency will thoroughly assist students in organizing and validating all documents needed to apply and process in order to work, study or travel in Australia. Along with verifying the forms and documents, the agency provides postage of the applications and will receive an answer within 24 hours. The immediacy of this process is due to the agency’s recognized and acknowledged reputation as well as legitimacy in Australia therefore; applications from the agency are priority. Australia Education Agency works closely in communicating with their clients; innumerable phone calls and emails will be happily accepted, as the agency will do their best to answer all questions. Questions such as student fees, student visas, accommodation, flights to and from Australia, and questions about academic institutions will be answered by the agency. The agency will continue to provide constant support via email about living and adjusting in Australia and will answer any questions such as transport, banking processes and settling in even after the process is over. The agency also provides German agents to those German speaking international students. We are available to share your concerns and any questions you may have during your journey in Australia as we want your stay in Australia to be an experience of a lifetime. Our education queensland programs offer high quality education in a safe and modern environment. 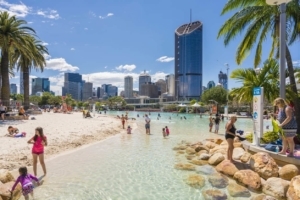 Can you study in Queensland? - We can help you! Our Education Agency works with universities and other government agencies to promote Queensland internationally as a provider of high quality education. For detailed information for international students on Queensland study opportunities, universities, courses, visa procedures, costs, lifestyle and Australian education contacts worldwide, find out about Queensland universities. For student visa requirements, available programs, accommodation advice - even how to buy a school uniform, browse the study in Australia section. We also provide enriching group study tours and offer consultancies in international projects. Would you like to study in New South Wales? Our Education New South Wales programs offer high quality education in a safe and modern environment. Can I study in New South Wales? - We can help! For immigration requirements and other important information, browse the study in Australia section. We work with universities and other government agencies to promote New South Wales internationally as a provider of high quality education. For detailed information for international students on New South Wales study opportunities, universities, courses, visa procedures, costs, lifestyle and Australian education contacts worldwide, find out about New South Wales universities. We also provide enriching group study tours and offer consultancies in international projects. Education Tasmania - Would you like to study in Tasmania? Our programs offer high quality education in a safe and modern environment. For visa requirements, browse the study in Australia section. We work with universities and other government agencies to promote Education Tasmania internationally as a provider of high quality education. For detailed information for international students on Tasmania study opportunities, universities, courses, visa procedures, costs, lifestyle and Australian education contacts worldwide, find out about Tasmania universities.We also provide enriching group study tours and offer consultancies in international projects. Education Western Australia - Would you like to study in Western Australia? Our Education Western Australia programs offer high quality education in a safe and modern environment. For student visa requirements, browse the study in Australia section. Can I study in Western Australia? - We can help you finding out! We work with universities and other government agencies to promote Western Australia internationally as a provider of high quality education. Detailed information for international students on Western Australia study opportunities, universities, courses, visa procedures, costs, lifestyle and Australian education contacts worldwide. Perth is one of the most populated cities in Australia that is situated on the Swan Coastal Plain. 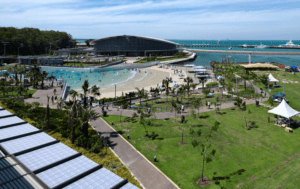 Its proximity to the Asian countries has made it one of the popular spots visited by foreigners – students, travellers on a business trip or tourists. The robust education system, numerous industries, and firm administration have made Perth attractive for international students to study, work, and settle in the city. The city also hosts numerous cultural fests and exhibition to help aspiring artists, writers, musicians, and scientists to showcase their innovative skills and talent. Australia pioneers in technical learning through its vocational courses, on-the-job training, and internship programs. Perth is a leading city that offers technical learning through its 4 government-owned TAFE institutes. There are other private technical institutes as well. You can also enrol in many regional institutes in the neighbouring areas of Perth that offer job-oriented courses. The 4 government universities and another private one also offer vocational education to students – especially to foreign students. Pathway courses are available that allow students to get admission to universities to further studies once they complete the vocational courses. Key subjects where students often enrol for technical knowledge are arts, business, communications, community service and health, design, engineering and building works, science and technology, horticulture, English learning, and sports and recreation. Students either study further or start working after completing their studies on a vocational course. International students make a beeline to the TAFEs and privately-owned technical institutes in Perth as knowledge taught by these institutes are internationally recognized. In fact, students from non-English speaking countries visit Perth on a Student visa to study at TAFEs. The visitors book a study package where they first improve their English language skills by taking up an English Language Intensive Courses for Overseas Students (ELICOS) course and finally, study an academic, technical degree. A top TAFE institute will easily offer at least 100 nationally accredited vocational qualifications to international students in the form of Diplomas, Advanced Diplomas, Graduate Diplomas, and Certificate degrees. Once you get these degrees or you are in the final year of a vocational course, you will get an opportunity to try hands-on activities in your field of study. So, don’t be surprised if you get to work on real-life simulations, corporate training or competency-based training programs. Some courses have work experience included in the curriculum – for instance, a hair-dressing or beauty therapy course. For Animal Studies or Nursing, you may have to work as an intern. Those looking forward to work in restaurants, resorts, and other hospitality services are often assigned to trainee jobs. Some work as chefs, hotel managers, event manager, or front desk operator. Perth offers many opportunities to Year 12 students to study vocational courses in technical institutes, colleges, or universities. 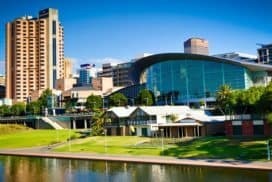 Aspiring individuals can carve out a profitable career by studying and working in Perth. If you are looking for suitable job-based courses, write to our student counsellor for information and valuable tips. Would you like to study in Victoria? Our Education Victoria programs offer high quality education in a safe and modern environment. For immigration requirements and other important information, browse the study in Australia section. Can I study in Victoria? - We help you! We work with universities and other government agencies to promote Victoria internationally as a provider of high quality education. For detailed information for international students on Victoria study opportunities, universities, courses, visa procedures, costs, lifestyle and Australian education contacts worldwide, find out about Victoria universities. Education Northern Territory - Study in Australia! Would you like to study in Education Northern Territory? Our programs offer high quality education in a safe and modern environment. For student visa requirements, browse the study in Australia section. Can I study in Northern Territory? We work with universities and other government agencies to promote Education Northern Territory internationally as a provider of high quality education. For detailed information for international students on Education Northern Territory study opportunities, universities, courses, visa procedures, costs, lifestyle and Australian education contacts worldwide, find out about Northern Territory universities. Would you like to study in South Australia? We work with universities and other government agencies to promote South Australia internationally as a provider of high quality education. For detailed information for international students on South Australia study opportunities, universities, courses, visa procedures, costs, lifestyle and Australian education contacts worldwide, find out about South Australia universities. Australian universities offer world-class education and Bachelor degrees, Doctorates and post-doctoral research. Of the 40 universities most are in the capital cities, with some in regional centres. Australia is popular for students wishing to complete higher education overseas. More international students are in Australia than the UK or USA. Australia has a national set of qualifications endorsed by the Government, meaning there is national and international recognition of your qualifications and education. Bachelor degree (pass): initial preparation for professional careers and postgraduate study, involving a minimum of three years full-time study. Entrance requires completion of an Australian Secondary School Certificate of Education (Year 12) or overseas equivalent, a Diploma or Advanced Diploma. Bachelor degree (honours): may be taken as an additional year following the third year or awarded on achievement in degrees of four years or more. Graduate Certificate / Diploma: for broadening skills and knowledge gained in an undergraduate course, or the gaining of vocational skills and knowledge in a new profession. The requirement is 6 months full-time study for a Graduate Certificate and 12 months full-time study for a Graduate Diploma. Entrance requires a Bachelor Degree or Advanced Diploma and may also be accessed in part by recognition of prior learning. Masters degree: provides high-order overview of a relevant field. They involve two years of study after a Bachelor degree or one year after an honours degree. The Masters degree may be offered in three ways: coursework: comprised of coursework, project work and research. Entry requires the prior completion of a Bachelor degree, an honours degree or a Graduate Diploma. These vary, depending on the course. Higher education courses run from early March to late November, with the year divided into two semesters. Some institutions offer a trimester system and/or run summer schools from December to February. Undergraduate and postgraduate coursework students enrol for courses at the beginning of the year (January or February). Some do allow mid-year enrolment (July). Students studying towards a doctoral degree or other postgraduate research awards may be able to negotiate an alternative starting date with their study supervisor. Entry into most higher education courses in Australia is highly competitive. A high standard of English is required for entry into both undergraduate and postgraduate courses, although individual institution requirements may vary. Check entry requirements with the institution first. *This information serves as a rough guide only. References to course length are approximate only and any degree completion required for postgraduate study must be a degree which is recognised in Australia. Further information should be obtained from each institution offering the qualification. These qualifications are awarded on completion of a course at a semi-professional level and are offered either through vocational education & training or higher education institutions. They may provide entry to a Bachelor Degree, with credit of up to 2 years. Australian’s who want to gain entry to an Australian University must complete either 12 years of Secondary School Education and pass their Senior Secondary Certificate of Education or meet stringent mature age entry requirements. Mature age entry requirements are generally based on a persons work experience or other training and certificates which relate to the course they are seeking entry to. An applicant must typically be aged 21 years and over to apply to Higher Education institutions for entry to an undergraduate Bachelor Degree on these grounds. To gain entry to an Australian university program, international students do not need to have completed an Australian Senior Secondary Certificate, however they must be able to provide evidence to support that they do have an equivalent Year 12 level qualification. To complete a Graduate Certificate course you need to carry out postgraduate coursework or research and must hold a Bachelor Degree. Relevant and extensive work experiences will be sufficient to meet the entry requirement in some instances. Like a Graduate Certificate, to obtain a Graduate Diploma you must conduct postgraduate coursework or Research and possess a Bachelor Degree or Graduate Certificate. In some cases, extensive and relevant work experience will meet the criteria for acceptance into these courses. A Masters Degree involves postgraduate coursework or Research and the successful achievement of a Bachelor Degree. A Doctoral Degree is at the pinnacle of Higher Education and involves the highest level of postgraduate research which sometimes is funded externally and pays the participant a small income. a Bachelor ‘s degree with extensive and relevant research experience. This section of the site mainly contains information for international students wishing to pursue their studies in Australia. Other sections on this site contain information on Australia’s Education Capability, industry and information for Australian Education Providers. Australia receives a rising number of international students every year from more than 140 countries who pursue their studies in university’s, colleges, institutes and schools. There were more than 500,000 enrolments on comprehensive fee paying overseas students, on student visa’s by early 2009.This led to an increase of 20.7 per cent of enrolments compared to the past year. Nearly 70% of these students mostly pursued their studies in higher learning institutes and vocational training institutes. employers and institutes for students looking for employment or seeking further studies. Variety of Courses - A lot of institutions offer a wide range of course majors and are of quality delivery. Security- Students are well protected by the law and are assured of the best security amenities available. Costs-Competition on tuition fees from institutions insure that costs are kept as low as possible. Low cost of living also helps students return good value for their money. Life in Australia- with a neat and stable environment, great climate conditions and friendly people, international students should find this a life experience worth told admirably. inter racial society-Australia has a multicultural society. Students should find settling in easy. Assistance-Australia offers many possible means of support to international students. Employment/traveling-Students are provided with work/travel opportunities.